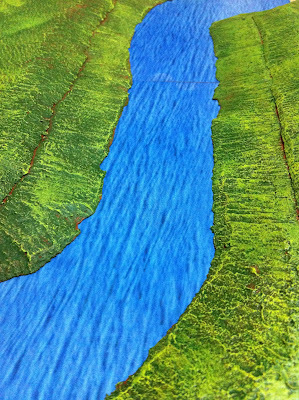 While there is no serious water terrain to model on my Waterloo table, I wanted to make sure all the work I was doing would be able to flow on to other European battlefields and fictional battlefields on the tabletop. Part of this was extending my use of the separated base tiles and contours to be used for water terrain such as rivers and creeks. I purchased some cheap cards printed as water. 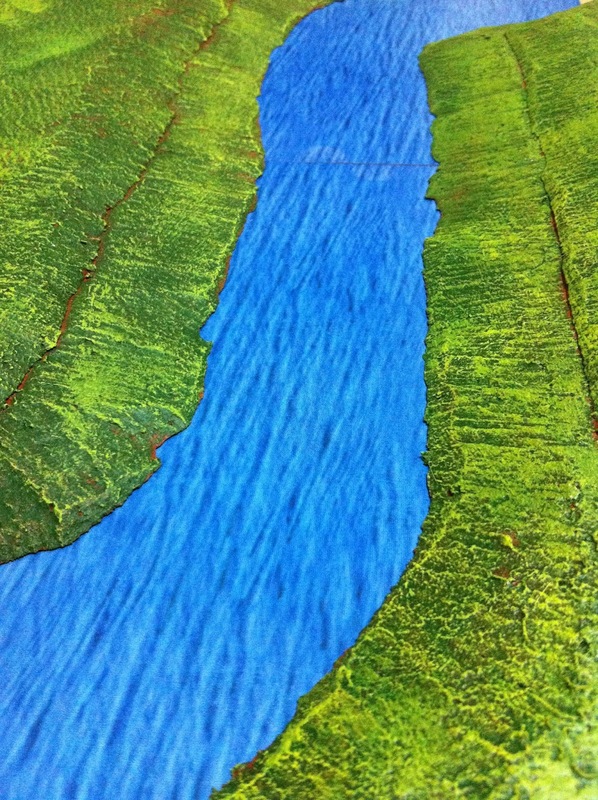 The idea is to place them on the table, put down some think painted card over the top to depic river banks and edges and then on top of that place the same contours I use elsewhere on the board as the inclining river banks and terrain on either side. Here is a quick concept pic minus the painted card river edges. It shows the printed water card on the bottom with a couple of contours placed on either side. Looks great! That river really 'flows' doesn't it? Thanks James. It's still looking too toyish for me but I am working in the river banks and hopefully it tone it down a little. Someone else suggested a layer of lacquer or even cling wrap to make it more shinny so I will try that as well. Rather bright blue you have there!! !